This is a heavy duty, professional CCD camera bracket. It offers the strength of cast metal manufacture plus the durability of a powder coated finish. Rotates through 360 on the horizontal with almost 90 on the vertical. 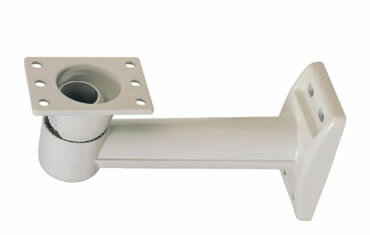 Cable management is provided through the centre of the bracket for a clean and tamper free installation.